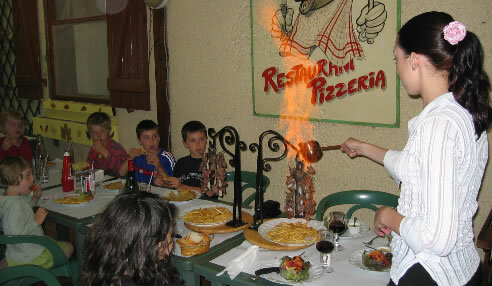 There are a great many places to eat out in the local area. 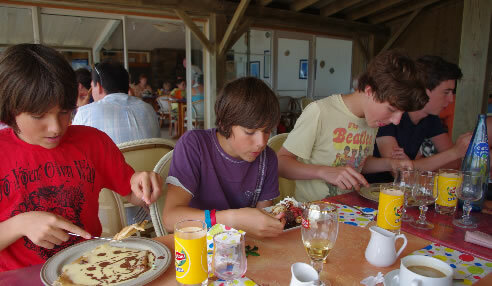 Delicious local specialties such as Moules Frites (mussels and chips), Galette (savoury pancakes) are a specialty of La Normandeliere (creperie on the beach). The restaurant 'La Chaize Gourmand' is a very good restaurant just opened in the village of La Chaize Giraud, which we can recommend. In fact, there are many places to eat out in the local area, from Michelin Star high cuisine establishments, to more rustic restaurants serving local specialties of Moules Frites. 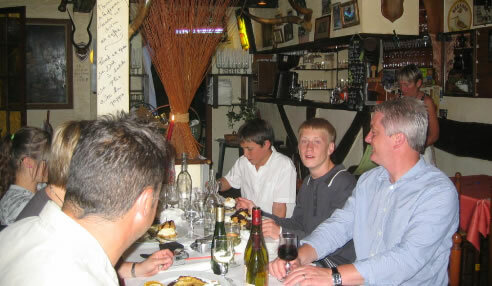 We also recommend the Riviera restaurant in St Giiles, especially at lunch time. It does amazing Pizza and steak and chips (especially a cut of steak called an onglet).